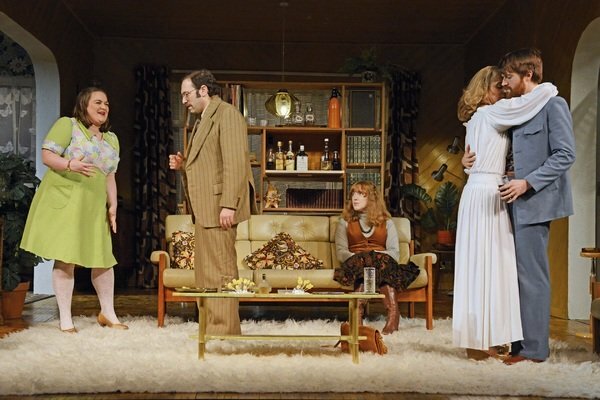 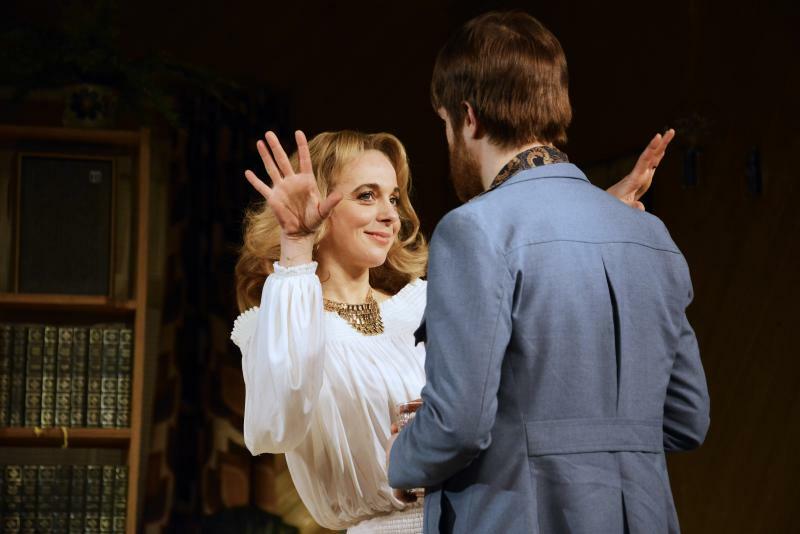 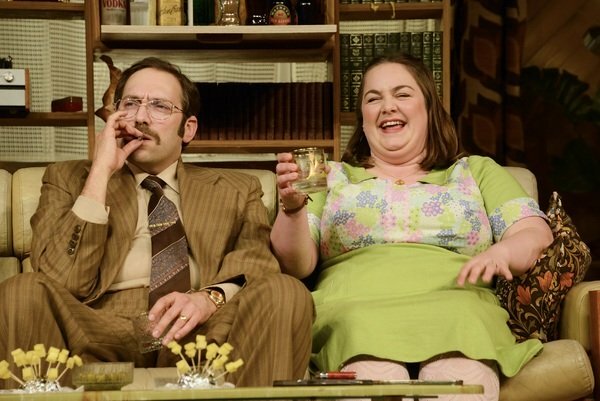 Amanda Abbington is preparing to lead the cast of a new production of Mike Leigh’s Abigail’s Party, and here are some pictures of the show as it prepares to welcome audiences. 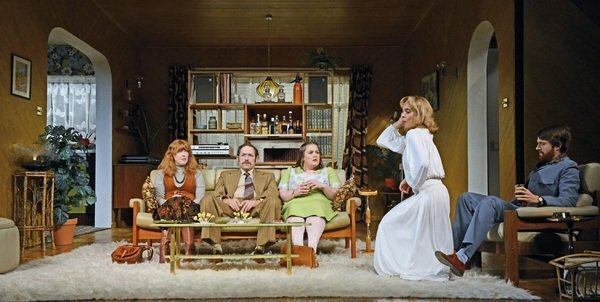 The production celebrates the 40th anniversary of the play and officially opens in Oxford in April. 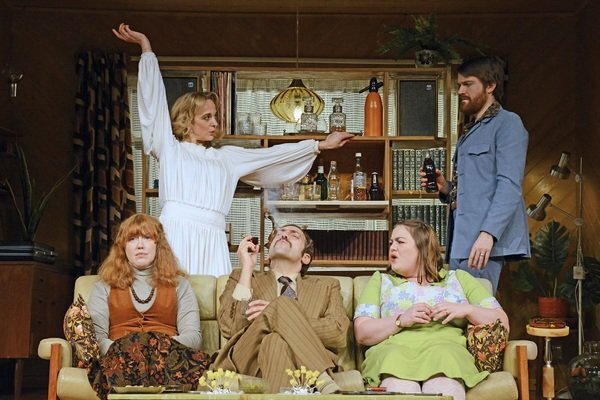 The story is set over one night at a dinner party and is a satire on the ’70s middle classes in Britain.